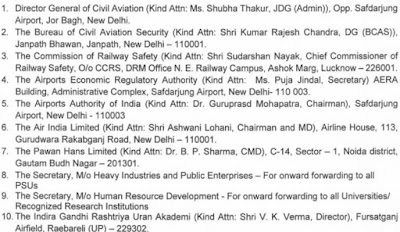 Ministry of Civil Aviation recruitment 2017 notification for 17 deputy director, director general and officer posts. All legible and interested candidates can apply on or before (05-06-2017). Further information about civil aviation requirements, salary details, application fee, educational qualifications and all other details/information about this post is mentioned in detailed below. 5. Safety Investigation Officer - 05. Salary/Pay and Grade Pay - For director general (AAIB) and director post, the payable salary will be Rs 37,400 - 67,000 with Rs 8,700/10,000 grade pay and for deputy director, assistant director and safety investigation officer post, the payable salary will be Rs 15,600 - 39,100 with Rs 5,400/7,600 grade pay. Further information about salary details as post wise is mentioned in the detailed advertisement. 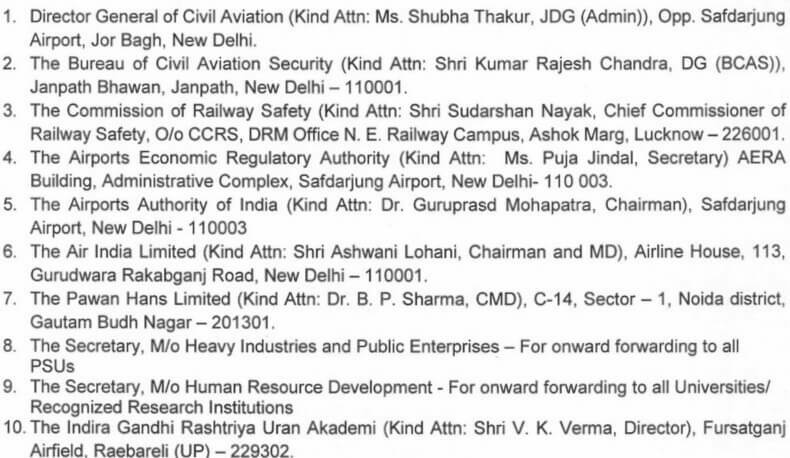 Age Limit - For the ministry of civil aviation recruitment, candidate age should be less than 56 years. To know more about age details, click on the detailed advertisement. Educational Qualifications - Candidates have must done 10th (matriculation), 12th, a graduate degree, degree in mechanical/electrical/electronics/aeronautical engineering, bachelor's degree in science with physics and mathematics as one of the subjects or it's equivalent/relevant/higher qualification from a recognized board or university. To know more about educational qualification details as post wise, see the advertisement. If you are not graduated then, click here for 10th and 12th based jobs. Selection Method - For recruitment in the ministry of civil aviation, the candidate will be selected on the basis of their performance in personal discussion and then personal interview. Candidates must be prepared for these tests. Work Experience - Candidates must have 9 years of experience in airworthiness/air safety/air traffic control/aircraft manufacturing/design organization with one years' experience in the field of flight safety and accident investigation on civil or defence registered aircraft for deputy director post. To know more about work experience required per post, go through the advertisement. 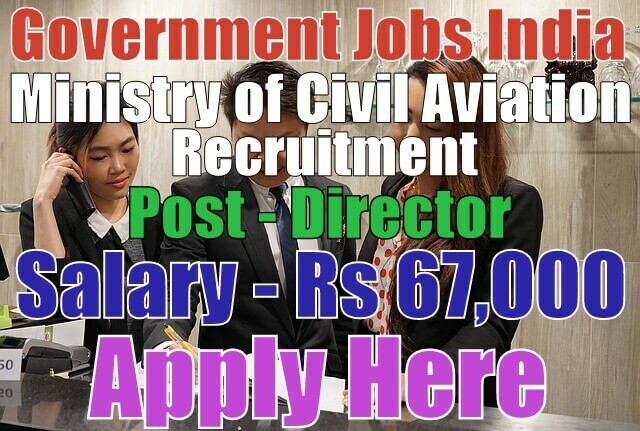 How to Apply - All legible and interested candidates have to download an application form from official website http://civilaviation.gov.in or from the given detailed advertisement. Candidates have to take a printout of application form. After printout, candidates must fill the application form and send the application form along with needed / relevant / required testimonials(which is mentioned in detailed advertisement) superscribing the envelope "Application for the post of 'Name of Post' " to the given desired address. Application Fee - There will be no application fee for any category candidate. Candidates belonging to ST/SC and person with disabilities are not required to pay any application fee. Regular employees of civil aviation applying for the higher position are too not required to pay any application fee.